A day and a half later, to be honest, I haven’t felt as pleased with myself as I have in the past. Don’t get me wrong, I had a great playoff day on Saturday. 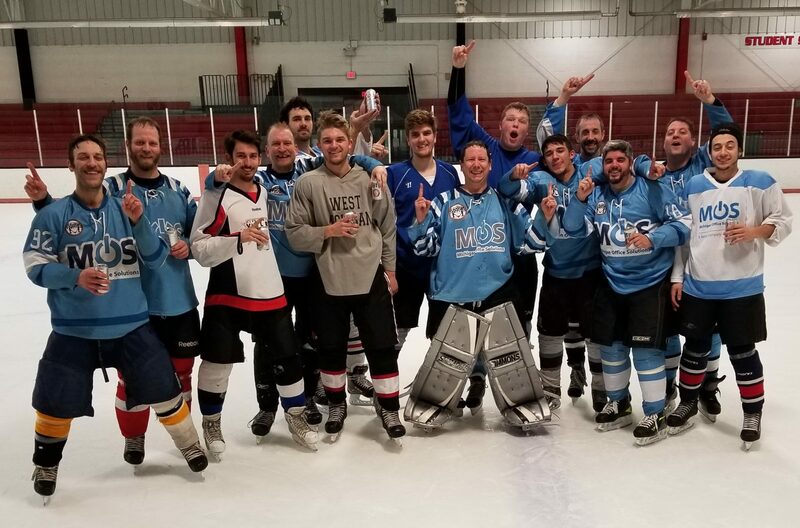 I played 5 strong games of hockey, and got 1 championship. Now that it is over, I am in the middle of 2 weeks off. The time off after 10 weeks of 3-4 games a week is what I am looking forward to the most right now. I know I have said it in the past, but this time I feel I mean it. I really need to cut down on my playing time. I really felt at the end of this season I was losing my desire to compete. I forced myself back into my competitive mindset a few days before playoffs. However, it was still a grind. Next season, now that I have gotten the milestone I have wanted, I am going to stick with 2 teams goaltending, and go back to skating out again. I liked playing forward to be honest. I missed my days playing with Kontakt and Vintage Painting. I guess the thing that shocks me the most is the fact that I am not totally pleased with the end of the season. Especially since the end resulted in a championship. Maybe it was because my very last game I had a chance at a second championship and my team just didn’t have any gas left after the big upset win earlier in the day. I do feel like I owe Dekleine something, and I want to help them get there next session.